Sorry but all items in this sale are sold out. We will mark items as sold out as soon as reasonably possible after the last item in each lot is sold, but this does not guarantee that all items shown will still be available for purchase. Stocks are limited! 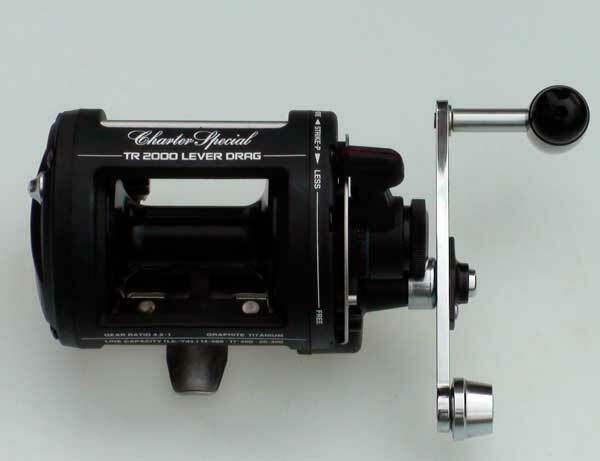 This is probably the best casting lever drag reel available. 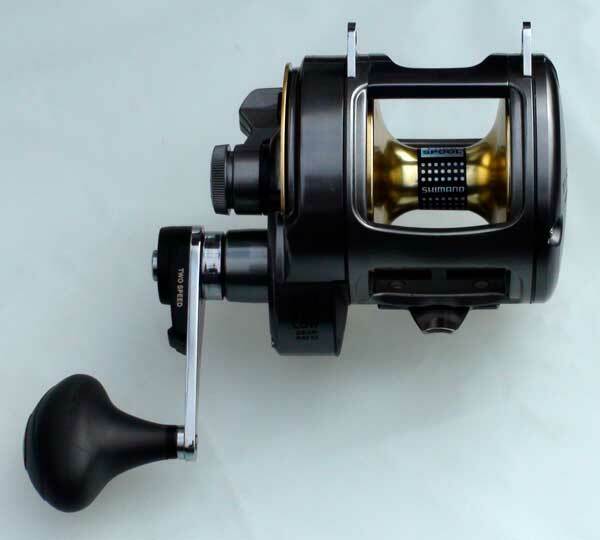 It comes with a level wind, pre-set drag features, three-level cast control, infinite anti-reverse, stainless steel bearings and drive gears. The Penn 975LD has a forged, machine aluminum frame and side plates and holds 300 yards of 15lb nylon. Because of its smooth drag it is also perfect for use with braid. Great for targeting snapper, trevally, kahawai, kingfish, land based or from a boat. 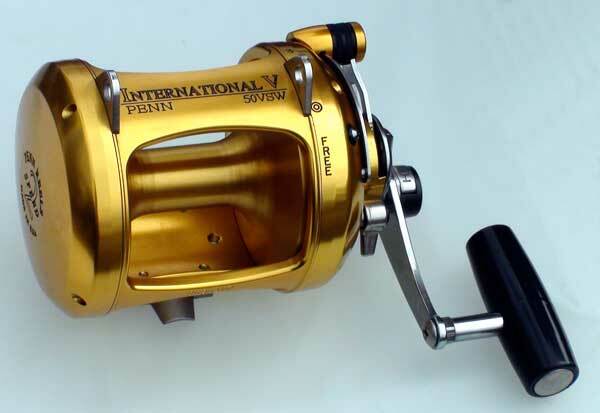 This reel is also great for trout jigging and salmon fishing. 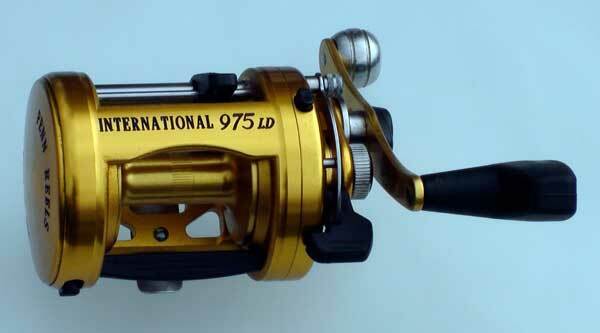 The Penn 975LD is an ideal reel for targeting New Zealand and world records on light tackle. 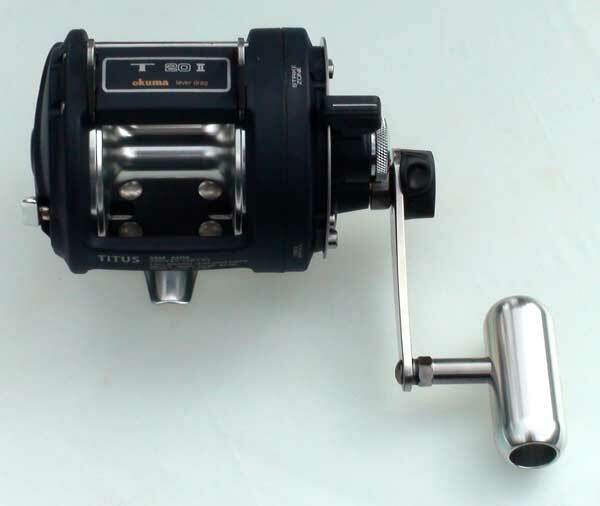 This premium bait-casting reel has a capacity of 340 yards 15 lb nylon but put 3kg or 4kg nylon on and you have one of the best light tackle reels money can buy. 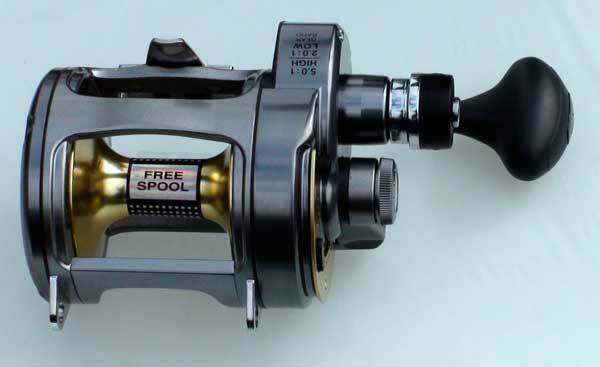 It doesn't matter if you are targeting snapper or kingfish, this reel has the drag smoothness to catch them on light tackle and a casting ability second to none. It has a forged machined aluminum frame, spool and side plates coupled with stainless steel bearings and an infinite anti-reverse. 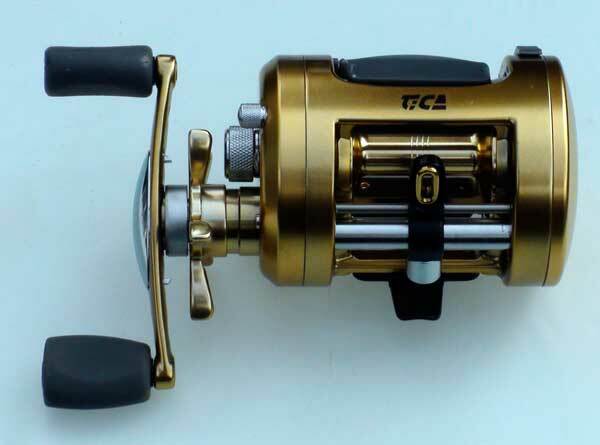 This reel has a three level cast control for optimum casting and a gear ratio of 4.5 to 1 for retrieving lures. 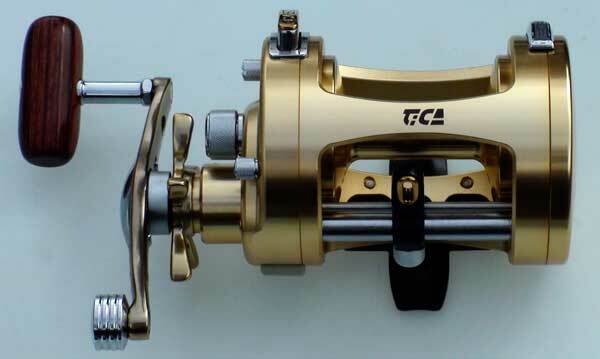 Because of the smoothness of their drag system these reels are perfect for using the new thin braids on the market. Great for targeting snapper, trevally, kahawai, kingfish, land based or from a boat. This reel is also great for trout jigging and salmon fishing and also for targeting New Zealand and world records on light tackle. This game reel has the power to take on all pelagic game fish or kingfish land based and still be happy winching hapuka up from deep water by dropping from the high gear of 3.1:1 down to the low gearing of 1.3:1. This extra wide one piece frame I.G.F.A class tournament reel will hold 850 yards of 24 kg nylon. It has a large push button shift system, four stainless steel ball bearings, and a lever drag with a pre-set feature. 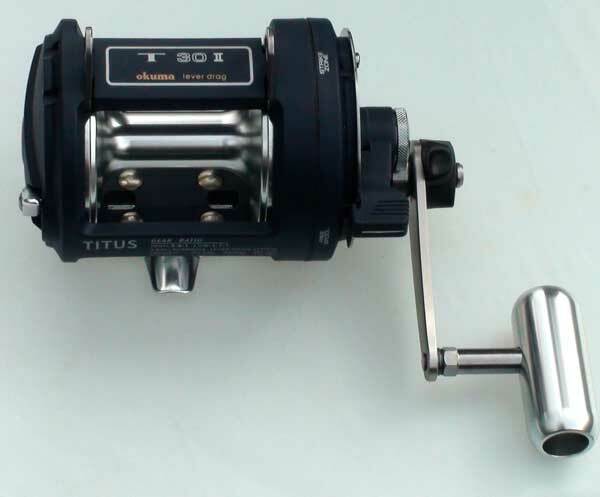 It has a rotary tuned drag system with Penn's famous HT100 drag washers which will not fade under pressure, anodized frame and spool, titanium handle, smooth tempered stainless steel gearing with easy high low push. A great reel for catching snapper, trevally and gurnard on jigs. 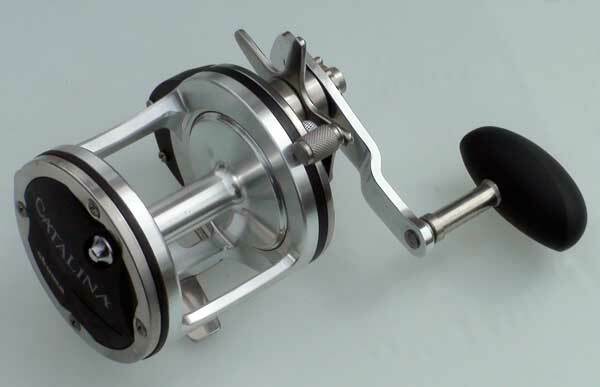 This Penn 5/0 light weight graphite frame reel and its stainless steel level wind is great for deep water fishing using our PFK spectra. 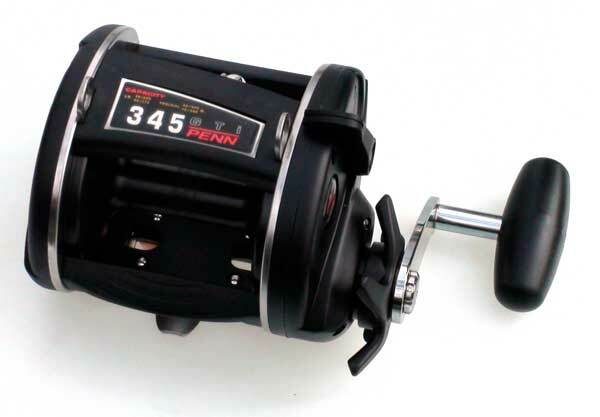 The Penn 345 GTI Super Level Wind 5/0 Graphite Reel has 4 stainless steel bearings and a wide anodized aluminium spool capable of carrying 375 yards of 50lb nylon or approximately 900 metres of 50lb braid. This Penn light weight one piece graphite frame with its pre-set lever drag and its stainless steel super level wind is great for shallow water or deep water if using our PFK spectra. 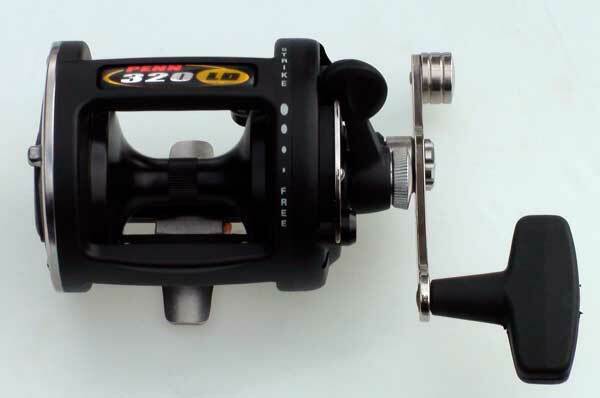 The Penn 320 Lever Drag With Super Level Wind has 4 stainless steel bearings and an anodized aluminium spool capable of carrying 350 yards of 20lb nylon or approximately 800 metres of 30lb braid. Its gearing of 4.3:1 makes for a great deep-water retrieval reel. Ideal for targeting snapper, trevally, kahawai, kingfish, land based or from a boat stray lining. 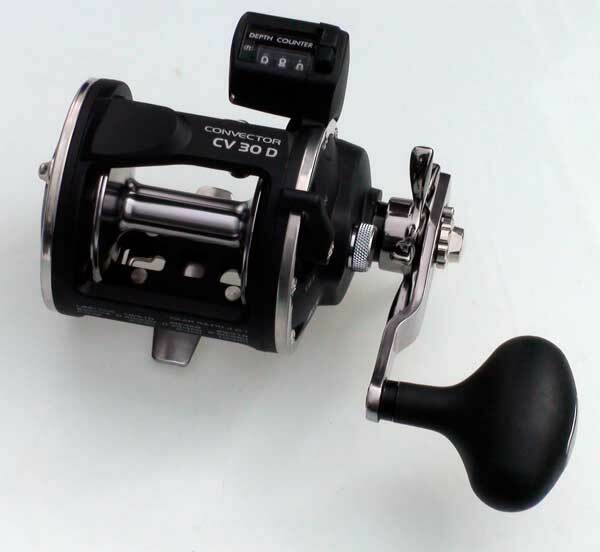 The Okuma Catalina CT-30L is a four ball bearing level wind reel with a gear ratio of 4:1. 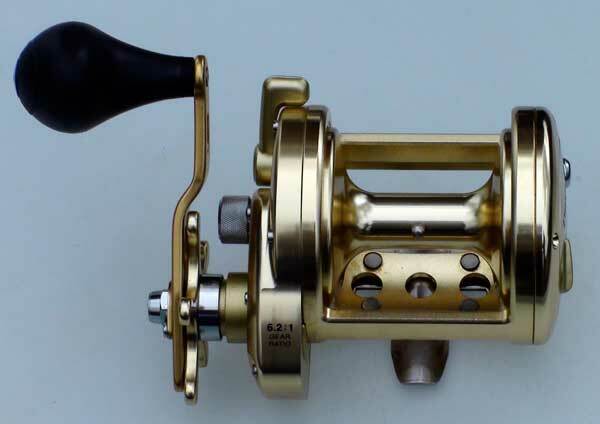 It has the same, machined, one-piece frame as the Catalina Hi- speed reel and holds 350 metres of 10 kg nylon. 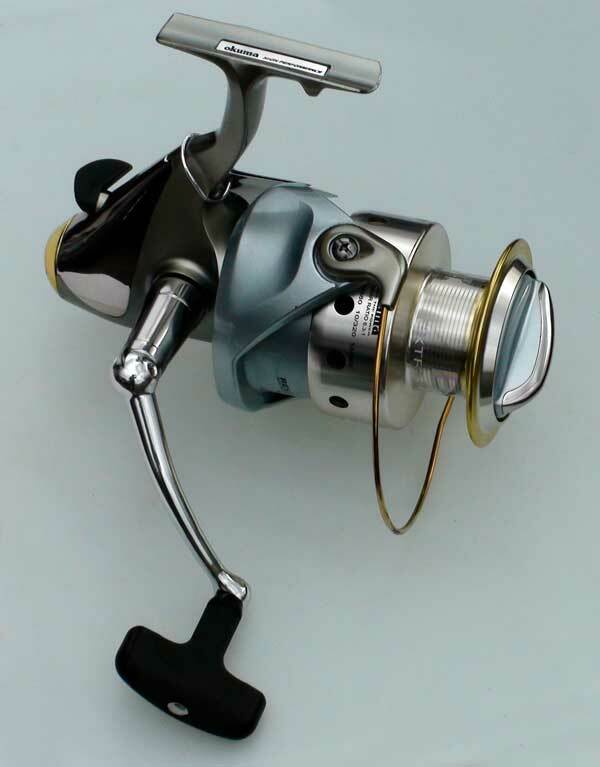 This reel is perfect for running a Pauls Fishing Kites Pocket Sled or Flexiwing kite using PFK spectra. 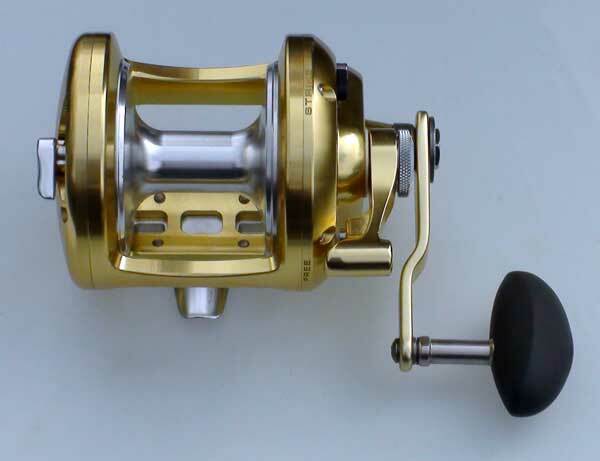 This reel is also great for deep water fishing for hapuka on braid or fishing for kingfish, snapper and kahawai. 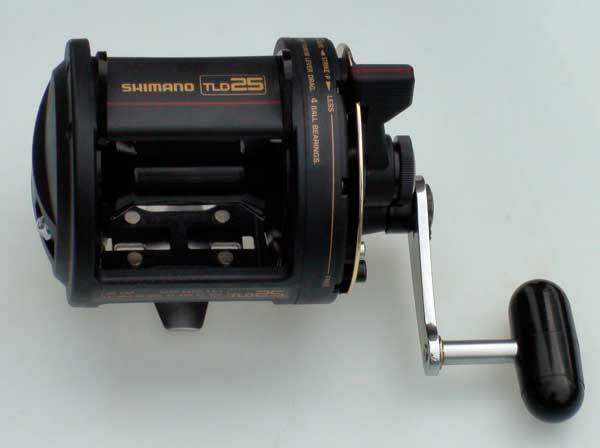 The Shimano TLD 25 trolling reel has 4 anti-rust bearings and a ball bearing titanium drag giving one of the smoothest drags on the market. It has a gear ratio of 3.6:1 and holds 650 metres of 15 kg Nylon. Great for live baiting most pelagic fish species with king fish and tuna being the most popular. Also ideal for targeting New Zealand and world records on 10 kg. 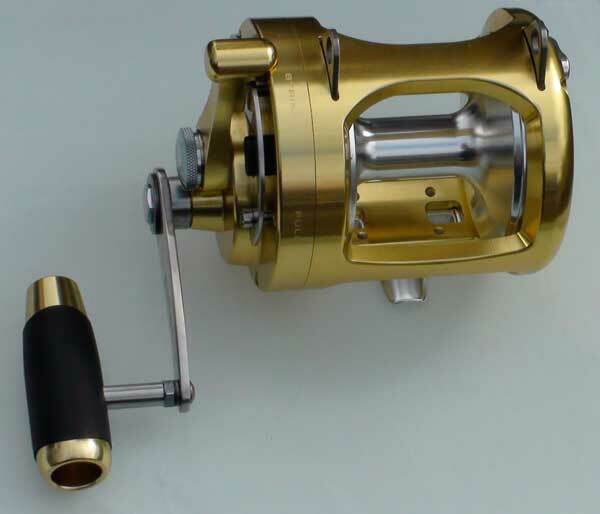 This reel can be used for all types of fishing, from stray lining to deep-water fishing. A great reel for using with our PFK spectra. 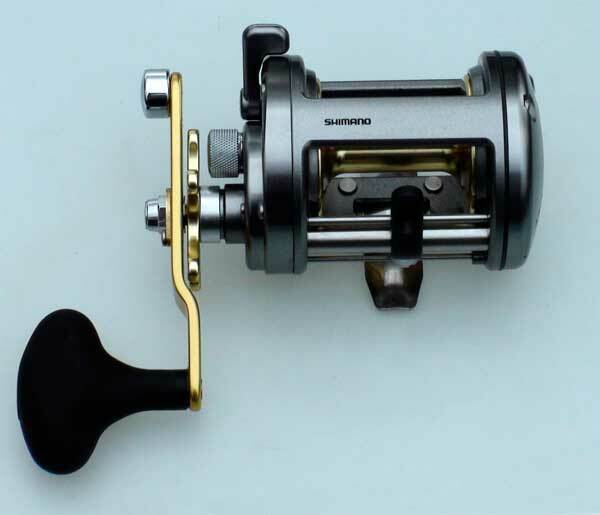 The Shimano TR200LD trolling reel has 4 anti-rust bearings and a ball bearing titanium drag giving one of the smoothest drags on the market. It has a gear ratio of 4:1 and holds 350 metres of 15 kg Nylon. Great for live baiting most pelagic fish species with king fish and tuna being the most popular. 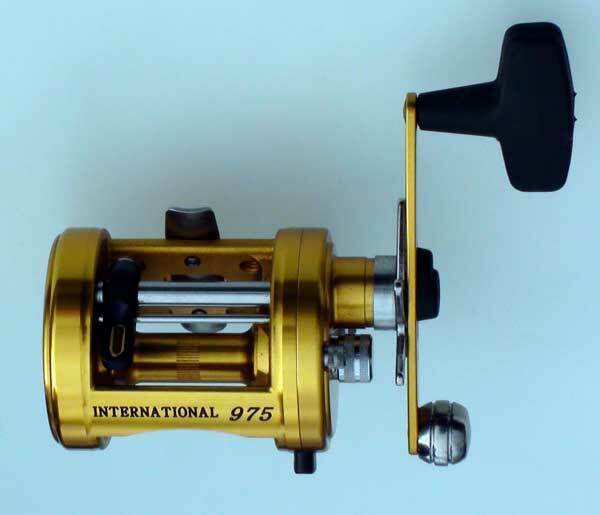 A great reel for targeting New Zealand and world records on 8 to 10 kg. 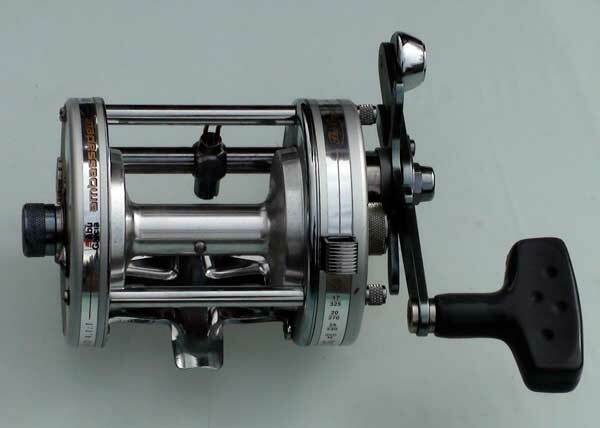 This reel can be used for all types of fishing, from stray lining to deep-water fishing. A great reel for using with our PFK spectra. 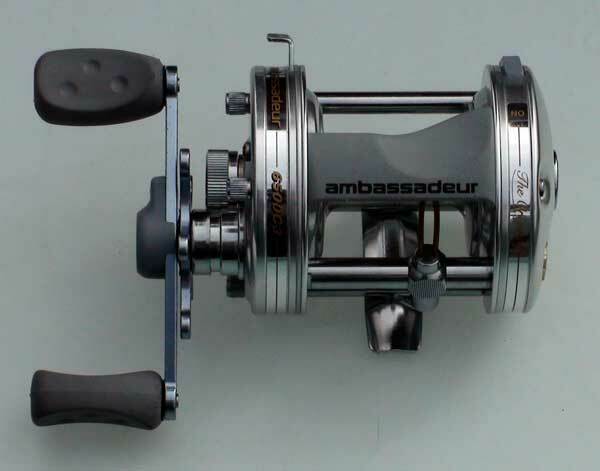 The Calcutta 700 reel has 2 stainless steel ball bearings and 1 roller bearing. 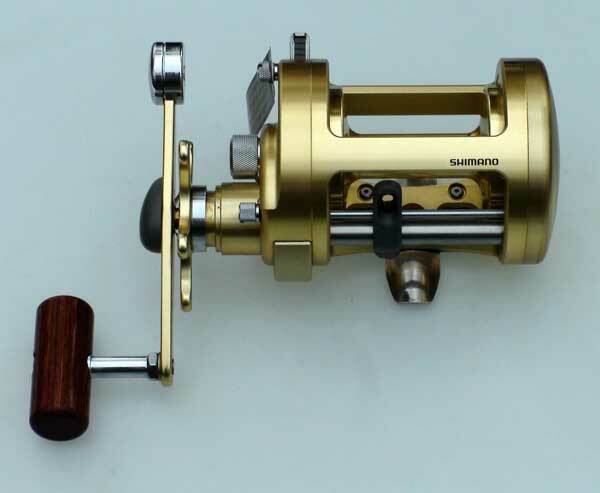 The Calcutta has a gear ratio of 4.7 :1 and holds 300 metres of 10 kg nylon. 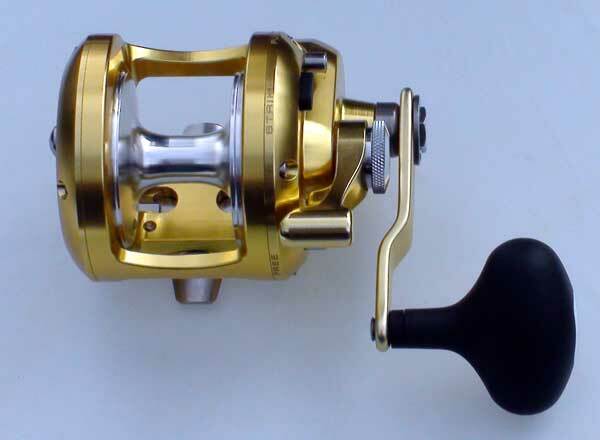 This is a great reel for casting and stray lining for big snapper, kahawai and kingfish. The Calcutta is also an ideal reel for targeting New Zealand and world records on 4 to 6 kg nylon because of its smooth drag and big capacity. A great reel for trout jigging and salmon fishing. Great for targeting New Zealand and world records on light tackle. Great for using with our PFK spectra. The Okuma Epix EB80 bait feeder reel has a gear ratio of 4.5:1 and holds 350 metres of 10 kg nylon. The Okuma Epix EB80 has 10 ball bearings giving a smooth action. This reel is great for casting poppers, lures, and spinners. 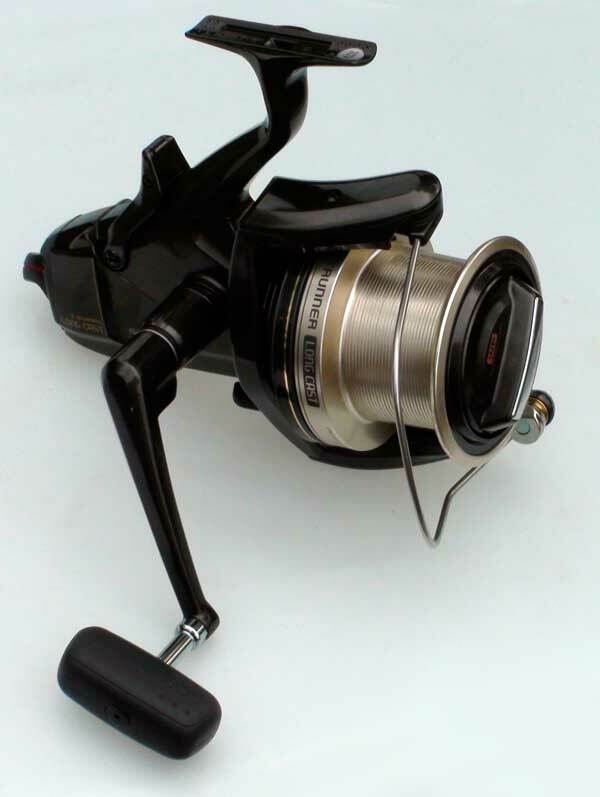 The Okuma Epix is also ideal for straylining big snapper, kingfish, kahawai and most reef fish. The Okuma Epix EFS80 reel has 10 ball bearings which make it one of the smoothest hi-speed spin reels available. 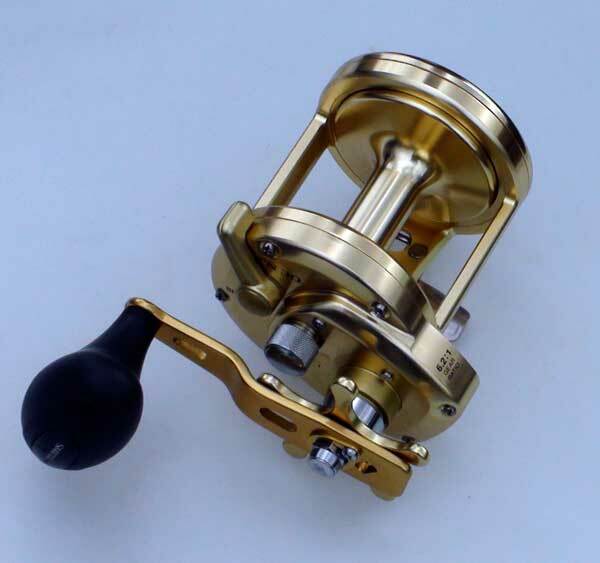 This reel has a gear ratio of 6.3:1 and holds 350 metres of 10 kg nylon. 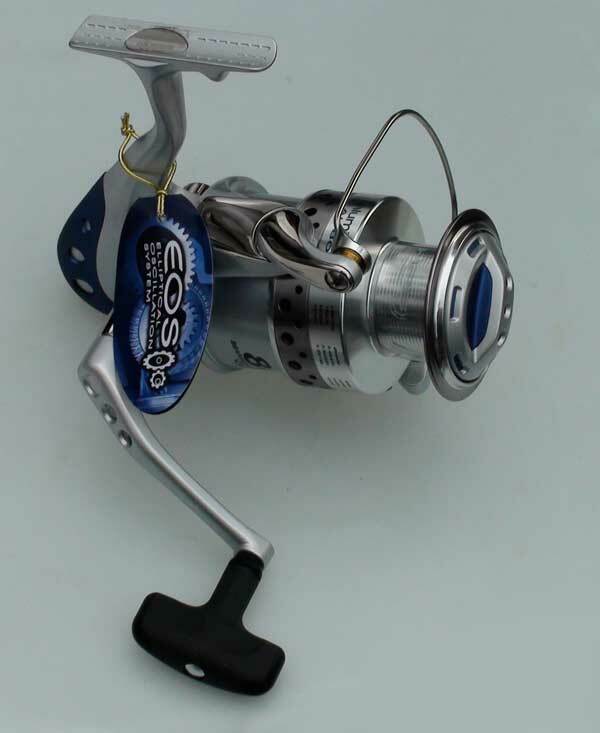 A great reel for casting poopers for kingfish and giant trevally when using PFK spectra. The Okuma Epix is also great for stray lining big snapper and spinning for kahawai. A great reel for catching snapper, trevally and gurnard on jigs in deeper waters.